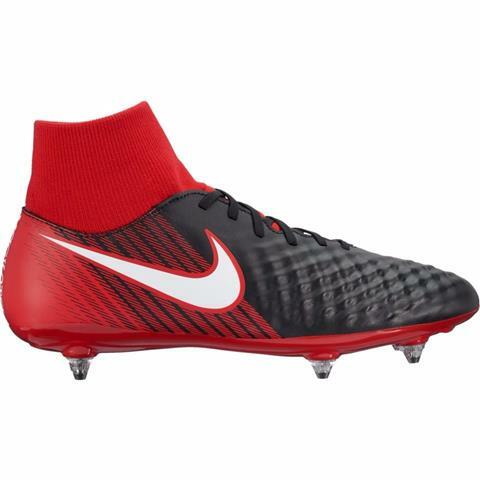 Amplify your playmaking in Men's Nike Magista Onda II Dynamic Fit (SG) Soft-Ground Football Boot. The premium synthetic leather has a 3-D texture on key areas to provide targeted friction and a precise touch, while the Dynamic-Fit collar links the lower leg and foot. 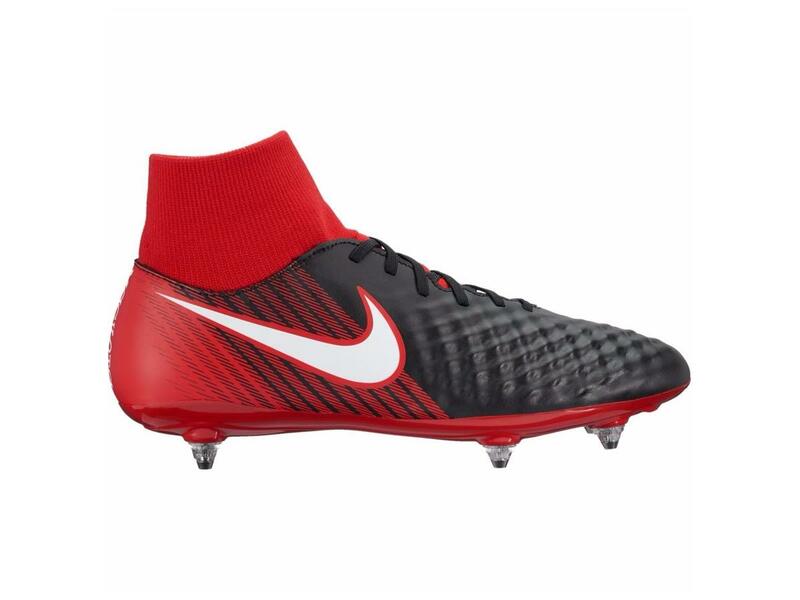 Detachable metal studs provide soft-ground traction for quick turns and agile playmaking. Heel studs provide braking power for quick stops.